Down Alternative Comforter Just $15.75! Down From $60! You are here: Home / Great Deals / Amazon Deals / Down Alternative Comforter Just $15.75! Down From $60! Hurry over to Amazon where you can score this Queen-Sized Down Alternative Comforter for just $15.75 when you enter promo code 5M77RPKZ at checkout PLUS FREE shipping with Amazon Prime or for orders $25 and above! 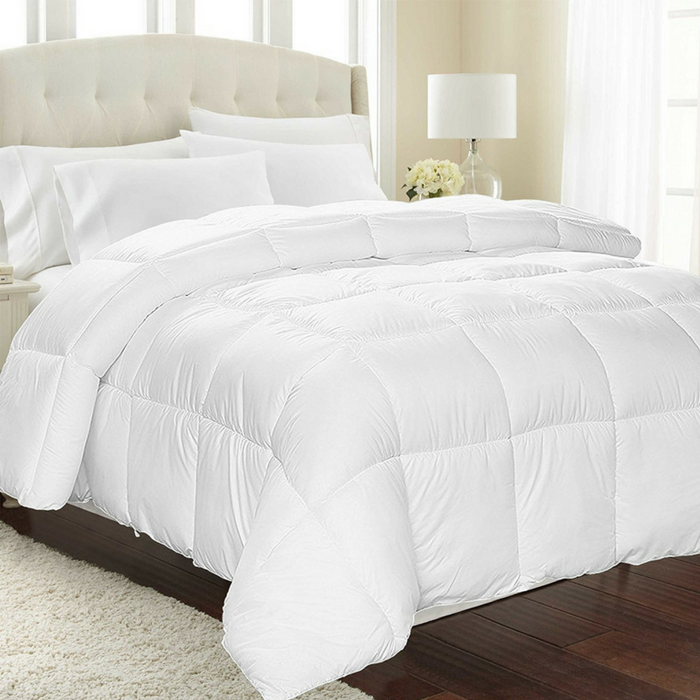 Cozy up with this luxurious down alternative comforter like sleeping in a cloud! Extremely soft, 100% brushed microfiber cover with 6D hollow siliconized fiber filling lulls you into a tranquil restful sleep.